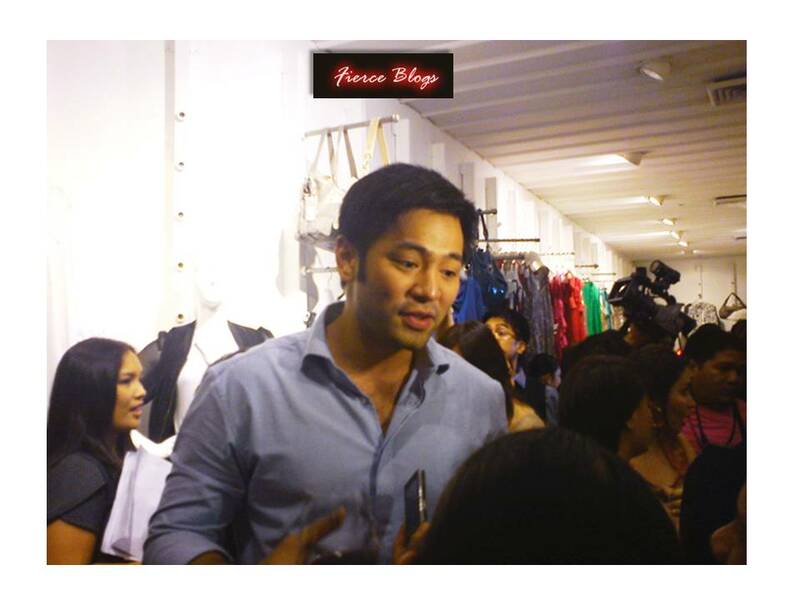 Quezon City, Philippines, October 5 marks the launch of the next "in thing in men's fashion. 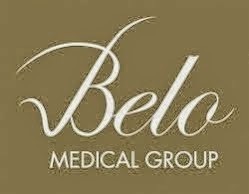 This clothing line has been around the fashion town for quite sometime but has remained silent so to speak. 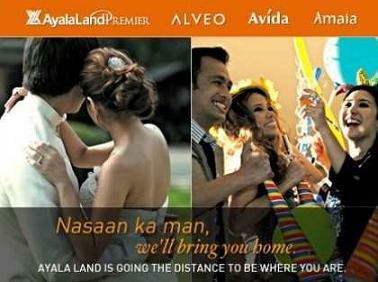 Well, until their launch last Wednesday at Mango Tree Bistro in Trinoma, Quezon City. ﻿There is really no stopping Mandita Man in claiming what's really due them - a big chunk in men's fashion world! And there is no other way in achieving this feat by getting only the best face and body to represent them. 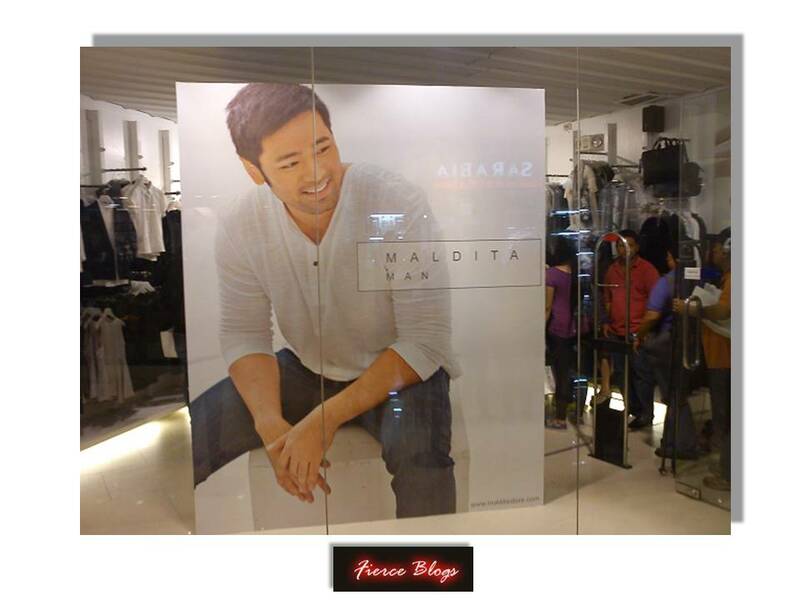 Hayden Kho is the new face of Maldita Man! The union between Maldita Man and Hayden Kho brand is only expected to give us the best in men's fashion: quality products from Maldita Man and from a man who truly understand what men's fashion should be. As Hayden says, it's all about comfort and feeling good in what you wear - this is what Maldita Man is all about. The clothing line speaks of Style and yet sensible without pretensions. A Maldita Man stands out and expressed clearly. Maldita Man is savoir faire, origin French (SA-VWAR-feR), which means an instinctive ability to do the right thing with utmost grace. "To stand out in a world of complexities, one has to firmly place himself to withstand all uncertainties and stand above the rest. Today's men needs Savior Faire." The exclusive event Maldita Man hosted last Oct 5 in Quezon City was indeed true to its brand's commitment. It was all about style, sensibility and without any pretense. Fierce Blogs arrived alone during the the launch without any photographer. Having to battle the traffic jam along EDSA and a hard rainfall that has no plans of subsiding. Because of this, I was 1 hour late (sorry)! But I made it, arrived at the launch, welcomed by the committee and was ushered to a reserved table (sweet!). At that point I thought the madness already stopped until I took 3 sample shots of the venue using my point and shoot camera and the worst just happened. My Canon IXUS 105 literally died on me! Officially, I'm a blogger without a camera. Sad... I was lucky I had with me my Sony Ericsson Xperia - he saved the day! Overall, the launch was a huge success. 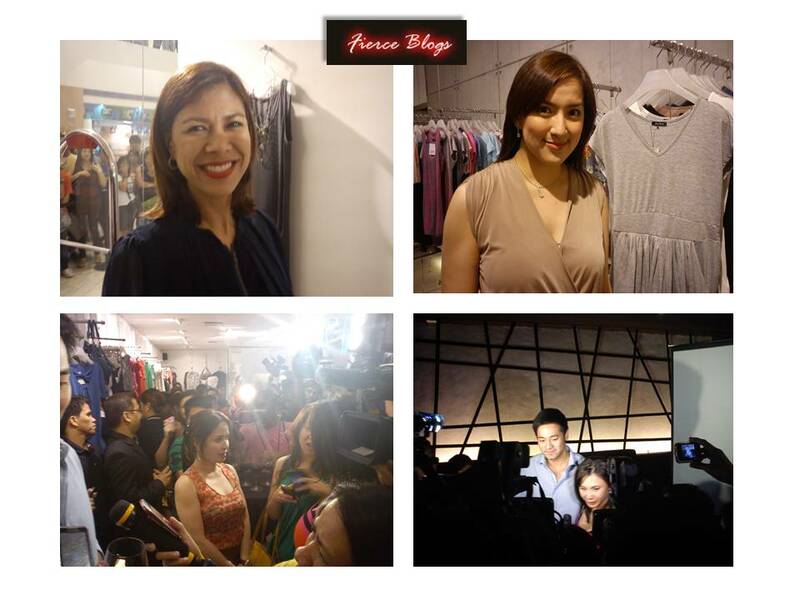 It was graced by pop celebs like: Dr. Vicki Belo, Jinky Pacquiao, Ara Mina, Suzi Entrata-Abrera and a whole lot more. What made the event even sweeter is the nice food that Mango Tree Bistro served the guests that afternoon. A DJ from RX 93 hosted the event and unveiled some creative photographs for the promo. 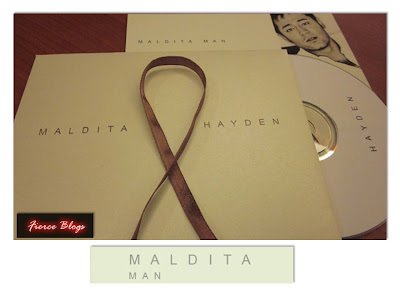 Here are some of the photos during the Maldita Man launch taken using my My Canon IXUS 105. 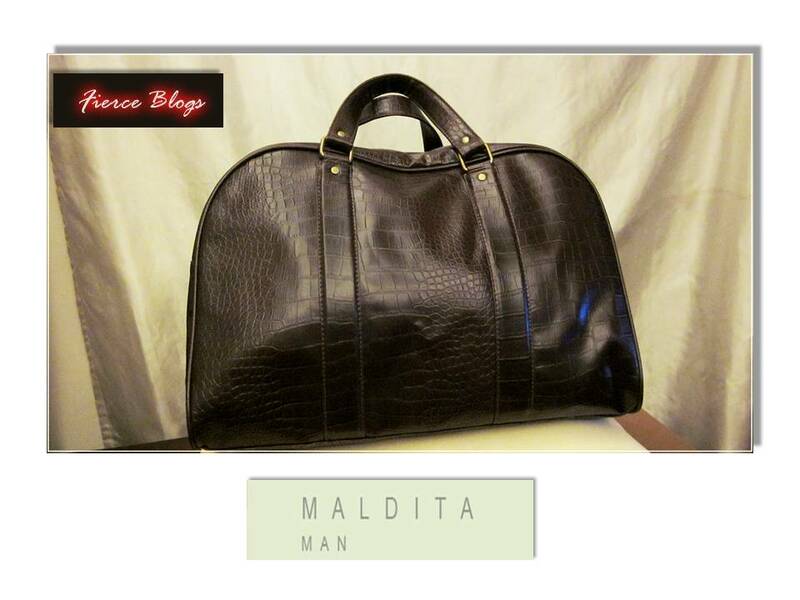 Oh and by the way, here's a photo of my new bag from Maldita Man. To put it in words, I simply love it! 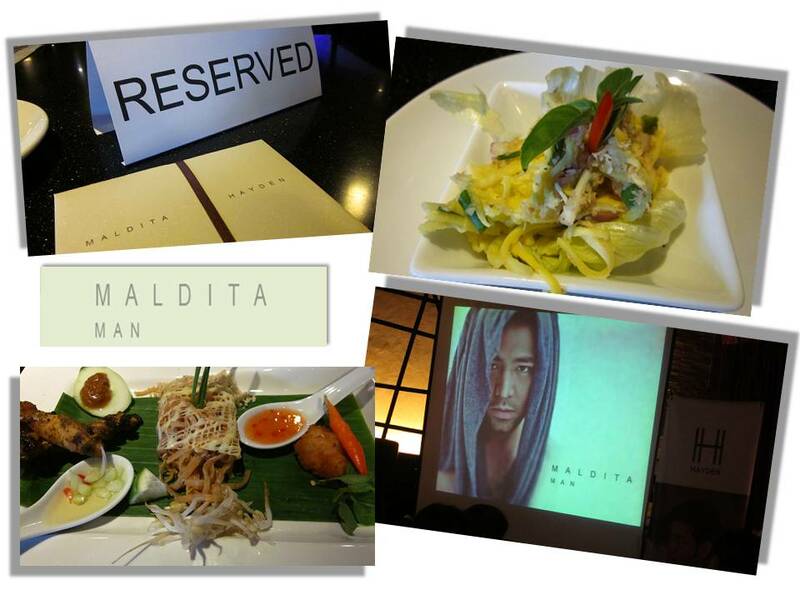 For more photos of the Maldita Man Launch, click this link. To Maldita Man, Denise Cabotage and Hayden Kho thanks for inviting Fierce Blogs! It was a pleasure witnessing the launch of a product that for sure will be a must-have for the sensible and stylish men in the metro. You can check out the latest collection of Maldita Man by visiting the stores below: Eastwood, Glorietta 5, Robinsons Place, Ermita, Market! Market!, Shangri-la Plaza Mall, SM City Masinag, SM City North Edsa Annex, SM City San Lazaro, SM City Santa Mesa, SM City Sucat, SM Mall of Asia, SM Megamall, SM Southmal & Trinoma. Another Fierce event unveiled by Fierce Blogs. Have wonderful Sunday to all Fierce Bloggers Readers! I love the bag Mr. Fierce! How much is it? Awww I love your bag! Do they have that in red also? How much is it? This blog made me want to visit their shop!!! Mapapagastos na naman ako! Your Fault Fierce Blogs! 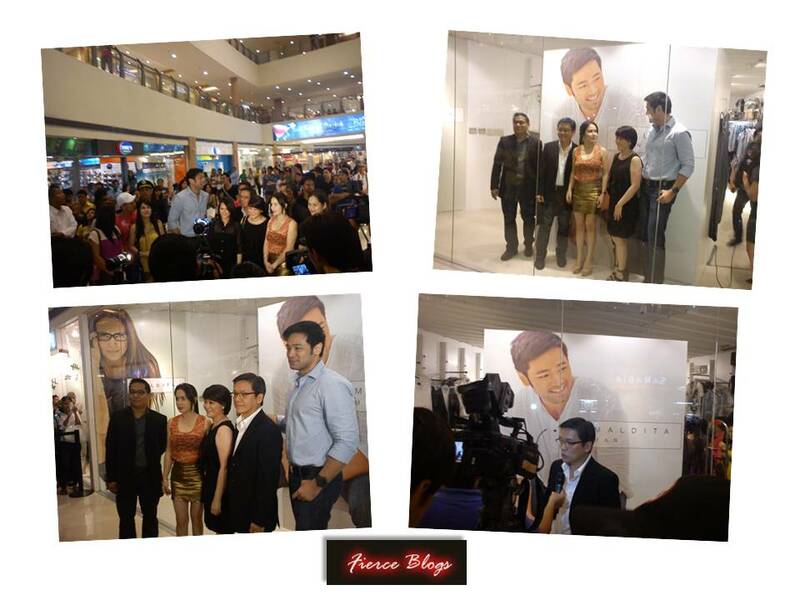 I'm so happy for Hayden kho! You can never really put a good man down! Nailed it! Great blog! You came up with great pictures after all! That's talent! ..nice blog/photos/ love the bag! H A Y D E N is H-O-T!!!! Thanks to everyone! Amazing how a lot read this blog after posting it just last night! 2,599 unique readers is truly Fierce! I wanna have that bag and put Hayden in it. Great blog Eric! :) You've truly captured the spirit of the event.